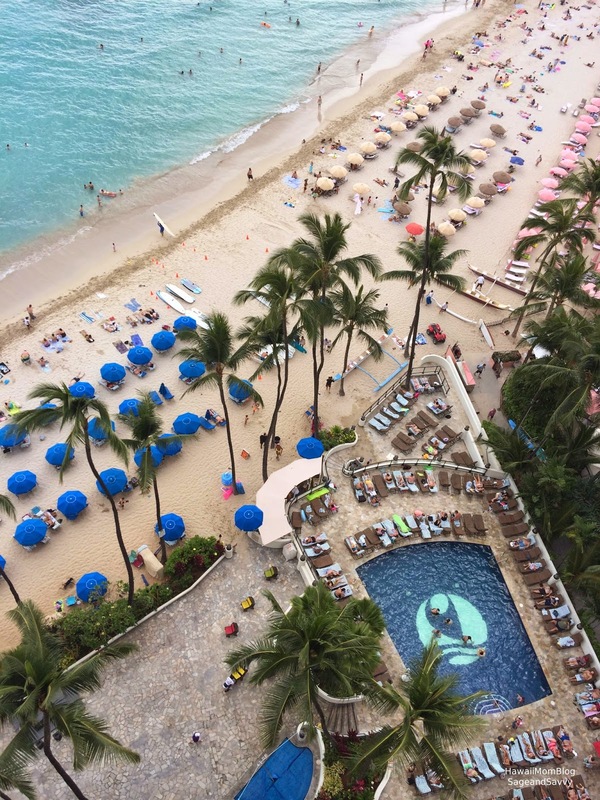 Having recently gone through renovations, the 524-room Outrigger Waikiki Beach Resort offers easy access to the beach, great restaurants, plentiful shopping, and cultural activities, as well as free amenities, and so much more - all with no resort fees! 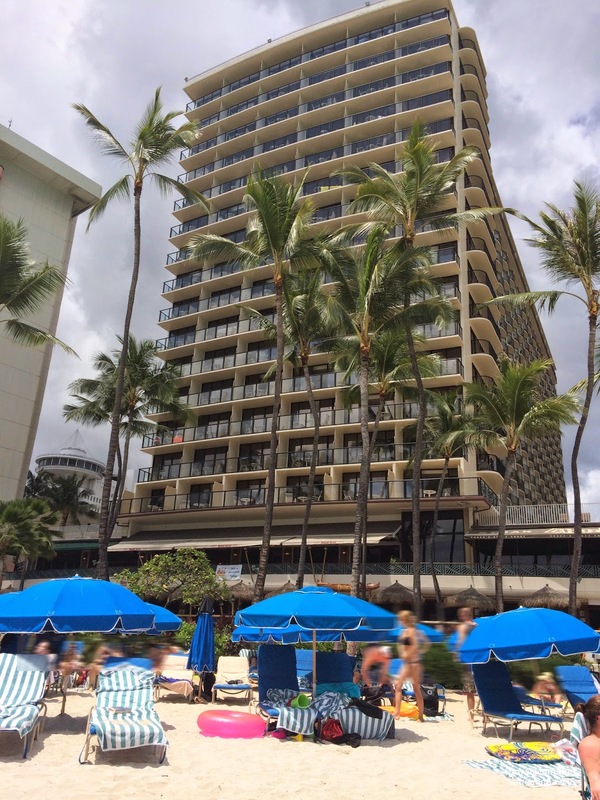 Our family was fortunate to stay at the Outrigger Waikiki Beach Resort this past weekend for a quick staycation, during which it became very evident why both kama`aina and visitors stay at this multi-award-winning hotel. As soon as we pulled up to the hotel, the valet and bell attendants were quick to warmly greet us. They assisted us in getting our luggage onto the luggage cart, and when one attendant asked if anything else was to go on, another jokingly said my son's name (after hearing me call for him). That was indicative of our entire stay - service with aloha, with some humor on the side. As I entered the lobby to check-in, I immediately noticed how guests checked-in while seated. What a great way to welcome guests to Waikiki - perfect for weary travelers - whether they arrived on 5+ hour flights, or drove through 1+ hour in traffic. During check-in the guest service representative was very friendly, even sharing a funny story about his son. The process was quick and efficient, and we were soon on our way to our room. After being given our card keys and figuring out how to use the secured elevator (guests must swipe their card key and enter their room floor to access the elevator), we arrived on our floor where an attendant was already waiting outside of our room with our luggage. Once we entered our hosted Oceanfront room, the magnificent views from the glass-bordered balcony immediately drew us in. 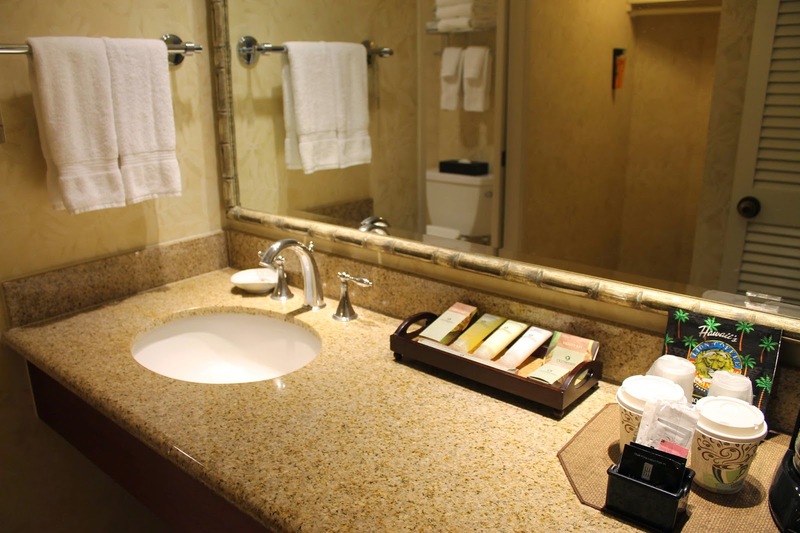 I thought the room itself was very clean and nicely-sized. 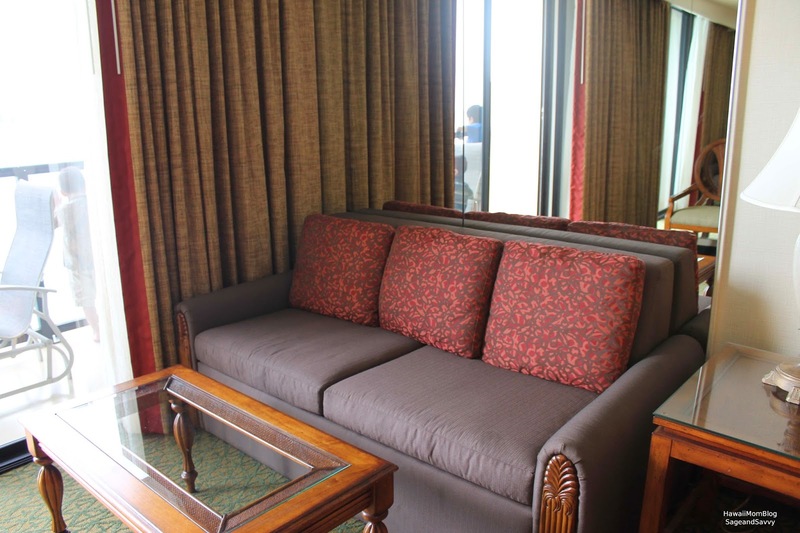 The two double beds and the double sofa bed were comfortable (yes - even the sofa bed! ), and I loved the decor, which was tropical, yet still fresh and modern. The coverlets, the wall art, the furniture, and even the hula girl lamp all added to the warmth of the room. One thing I really noticed about the room was how quiet it was. Only from the balcony or right near the sliding door to the balcony could I hear the waves crashing along the shore or the hum of people dining and chatting below. Even at night, I could barely hear a thing - whether from guests in other rooms or in the halls, or from people outside. I was pretty impressed with the soundproofing! Outrigger Waikiki Beach Resort offers several dining options. 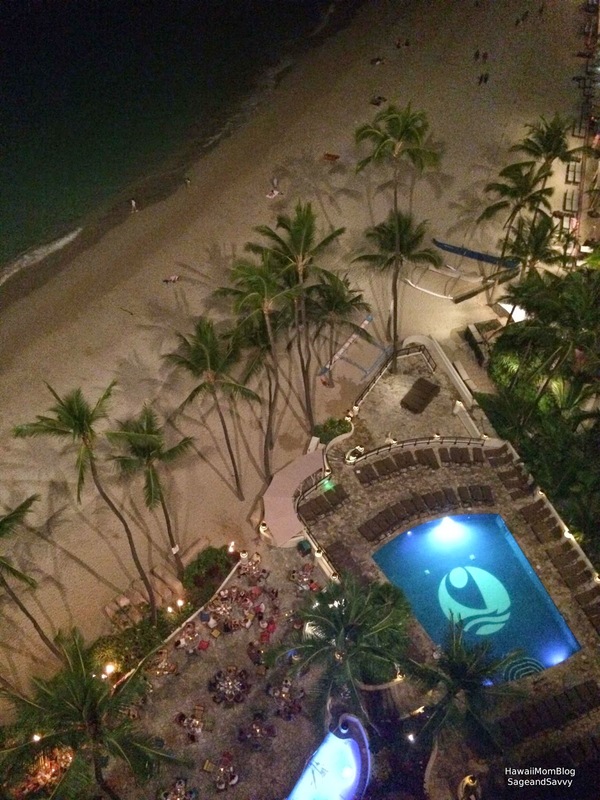 During our stay we dined at two of the restaurants on property - Duke's Waikiki and Hula Grill Waikiki. We had breakfast at Duke's (you can read my review here) and dinner at Hula Grill (you can read my review here), and during each meal we were provided with great food and great service. 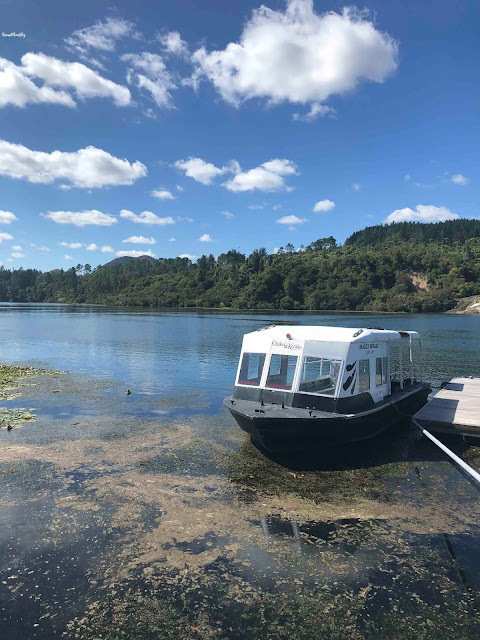 You can also grab a quick bite at Seattle's Best Coffee, a sandwich at Pai's Deli to eat at the beach, or enjoy a sit down dinner at Chuck's Steakhouse - all on property as well. From the moment we drove up to the hotel until we had to drive home, every employee we encountered exuded the aloha spirit. The valet attendants were always super friendly while working as quickly and safely as possible, and one even joked with my husband about a t-shirt he was wearing that named a rival football team. The guest service representative who checked us in and out was very pleasant. The pool attendant was also very welcoming. Whenever guests came to get towels, he'd greet them with a big "Aloha," and even acknowledged those who made a repeat visit to the pool. Whenever we passed a housekeeper in the hall, she'd always tell us "Hi!" 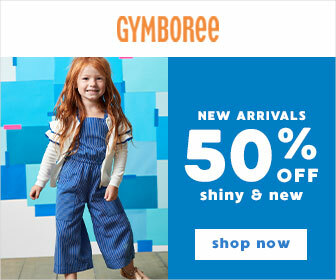 and converse with my kids. On Mother's Day everyone I saw even wished me a Happy Mother's Day. Service was exceptional during our entire stay. 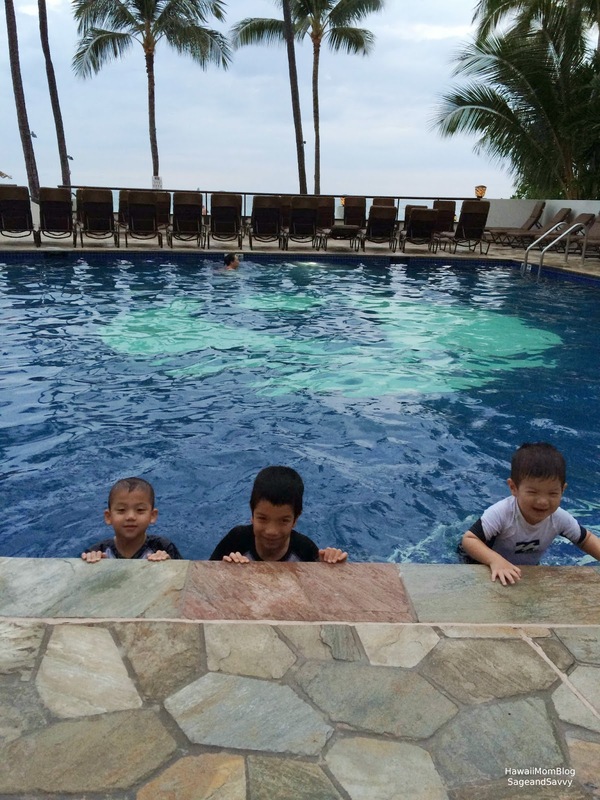 My kids LOVED the pool (open from 8am-8pm daily, weather permitting). Even though there were people lined up before 8am to find a chaise lounge, there were still plenty of chaise lounges available throughout the day. As expected, the beach was quite crowded, but that didn't stop us from enjoying some time there. 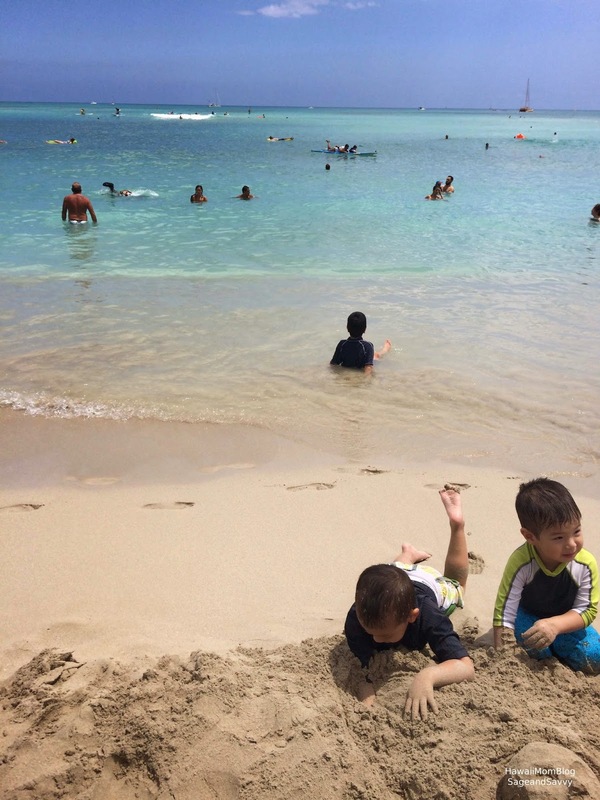 My kids were content just playing in the sand and water, but beach goers can opt to go to the Ocean Activities Center to rent boogie boards, buy snorkel gear, or even pay for surfing lessons. 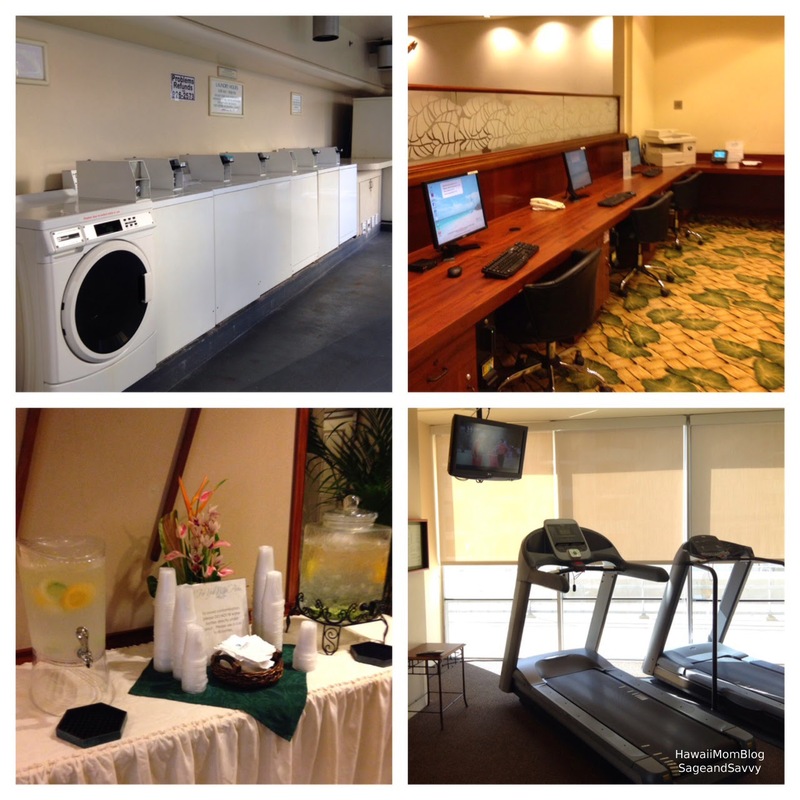 Click here for a list of services and amenities. 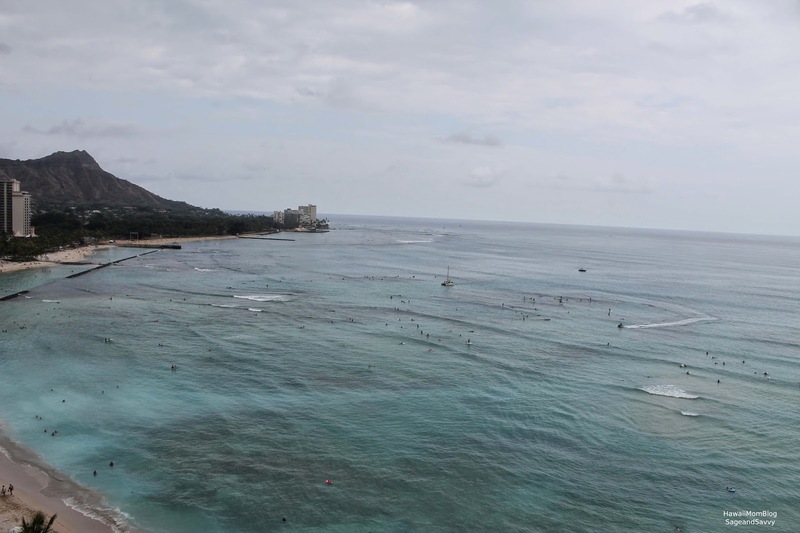 During our stay at the Outrigger Waikiki Beach Resort we were able to bask in the beauty of Waikiki, while the Outrigger `ohana continuously provided service with aloha. We truly had an amazing staycation. 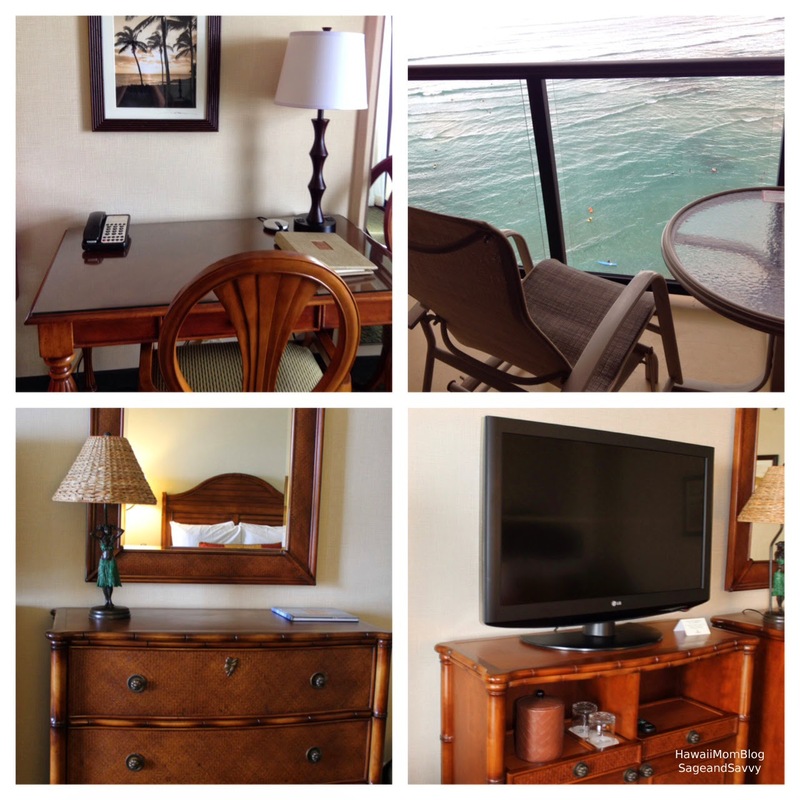 Mahalo Outrigger Waikiki Beach Resort! Click here for reservations. 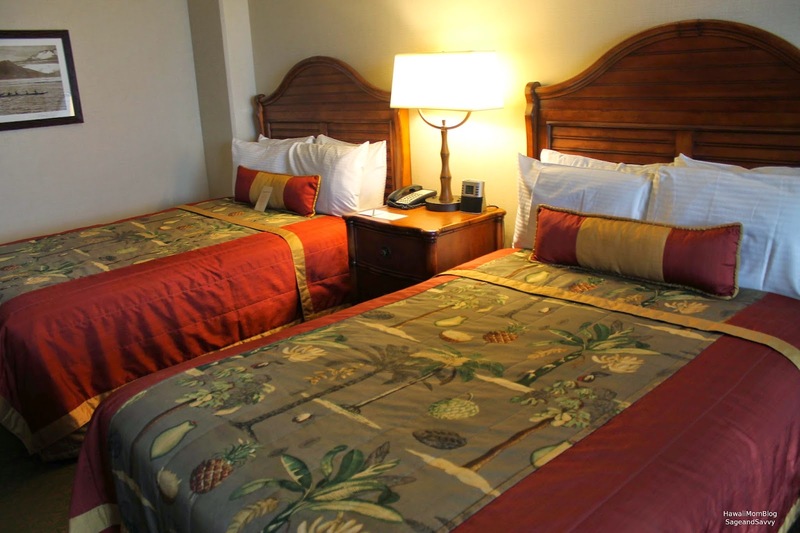 Kama`aina and other discounted rates available. 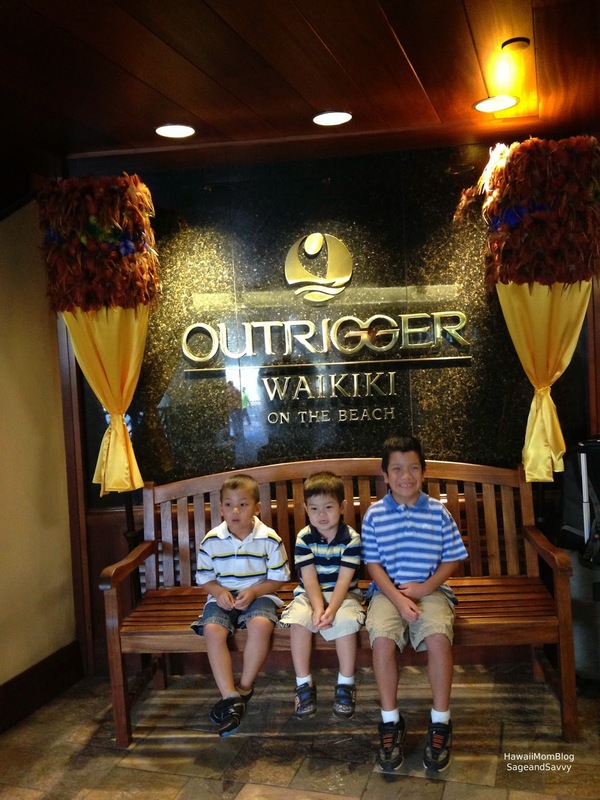 Thank you to Outrigger Waikiki Beach Resort for hosting our stay. Parking, meals, and gratuities were paid on our own.